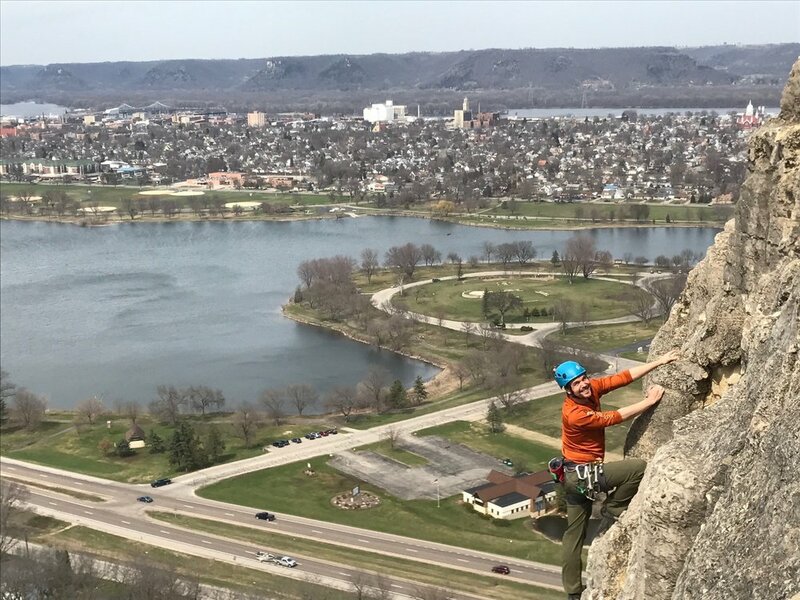 Heading to the bluffs of Winona not only offers a broader perspective with breathtaking vistas, but also provides opportunities for deepening hikes, mountain biking, rock climbing, and road riding. The bluffs are the reason Trinona is a highly sought after race. Come to train, to saunter, as John Muir would say, or just to get a good look at the river valley in all its beauty. There is a brand new trail heading up to Winona’s visual landmark! You can be taking in the views, ready to rock climb, in about 20 minutes. Big River Climbing Guides are experts in taking those rock climbing that have never been. The Sugarloaf offers routes for first-time climbers as well as routes that have been used as the training grounds for El Cap. Where else can you climb, hike or saunter, mountain bike bluffs, and paddle the backwaters of the Mississippi? The river valleys offer flat terrain or gently rolling hills and spectacular views of rivers and bluffs. Steep bluffs challenge those looking for a more vigorous adventure. Over a hundred miles of trails wind quietly along lakes and streams and through woods and fields. 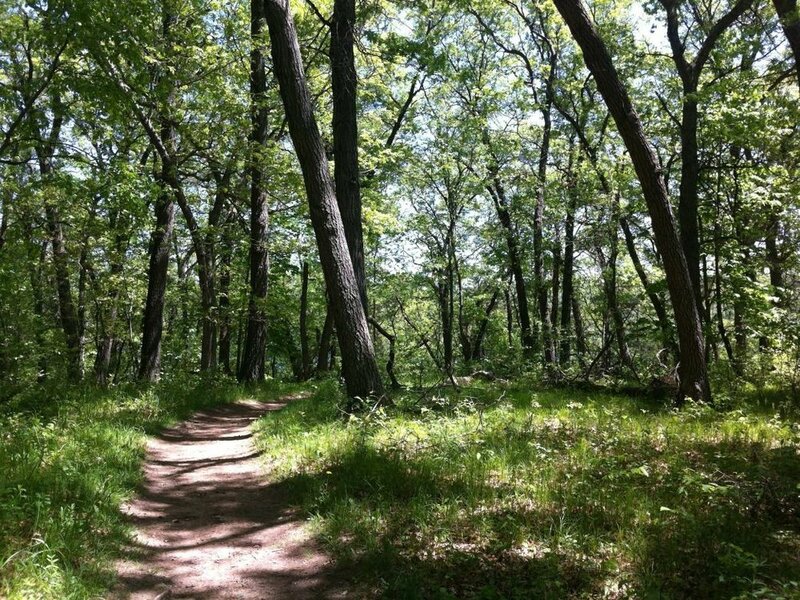 The hiking and mountain biking in Winona is fun and is about to get even better. The City of Winona just approved THE BLUFFS TRAVERSE CONSERVATION AND RECREATION AREA MASTER PLAN, connecting Sugarloaf, Garvin Heights, and Bluffside Parks. Very soon you will be able to head out on a long walk, enjoy a pump track, and complete a large mountain biking loop. Stop into Adventure Cycle and Ski, the local bike shop, to get the latest information as well.